When to elect Social Security is one of the biggest decisions you’ll make about your retirement. 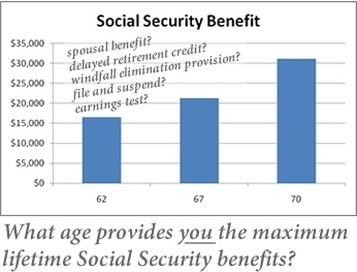 Did you know that there are literally thousands of options for when and how you elect your Social Security benefits? Did you know that the difference between a good election decision and a poor one is regularly more than $100,000 in income? Use our free calculator to find out how much is at stake for you.